Estate Villas come equipped with a private pool or a Jacuzzi and a Gazebo. All of them have a LCD TV, TATA sky connection & DVD player. The rooms also have a mini refrigerator, a tea/coffee kettle and electronic in-room safe. The rooms are approximately 530 sqft and are enclosed in a compound of 2250 sqft. All of these villas also have an out door shower. Estate Terraces Consists of two rooms, One room has the same layout as the estate villa and there is a stairway going down into the sitting room. The sitting room has an attached powder room. The private pool is accessible from the sitting room. A private terrace also provides beautiful views into the estate. We can provide an extra mattress and 3 adults can comfortably stay in an Estate Terrace. The above packages are valid from 1stjan 2009 to 15th september 2009. •*AP - All Meals (Breakfast, Lunch, & Dinner & Taxes). •Extra child above 11 years with food &mattress Rs. 2500/- per night. •Extra child between 6 -11 Years with food & extra mattress.–Rs. 1500/- per night. Estate pool villas or estate jacuzzi villa(pvt. pool or jacuzzi with bed room &sit out) costs Rs. 9000 +12% tax. Estate terrace(pvt. pool with sitting room,bed room &sit out) costs Rs. 13000 +12% tax. Presidential villa (pvt. pool,pvt. jacuzzi with 02 bed rooms, dining room and 1 living room.) costs Rs. 40000 +12% tax. The single day stay provides only accomodation with complimentary breakfast. 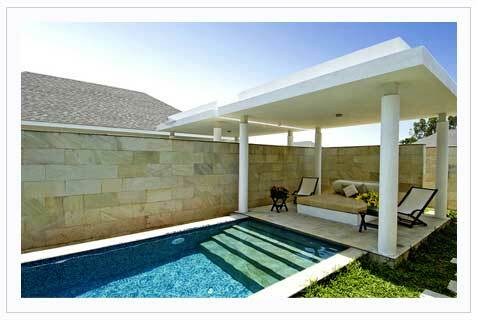 Permitted occupancy in eastate pool villa & Estate Jacuzzi Villa is maximum of 02 adults & 02 children below 16 years. Permitted occupancy in Estate terrace is 02 adults & 02 children below 16 years or 03 adults only. On the National Highway NH 47 between Bangalore and Mangalore, take a deviation at Hassan. From Hassan, Chikmagalur is only 55km away. National Highway NH-206 (Bangalore to Honnavar) touches the towns of Kadur, Birur and Tarikere. Chikmagalur district does not have an airport. Airports at Mangalore, Bangalore and Hubli can be used as alternatives. There are plans to develop an airport near Marle village about 10 km from the town.